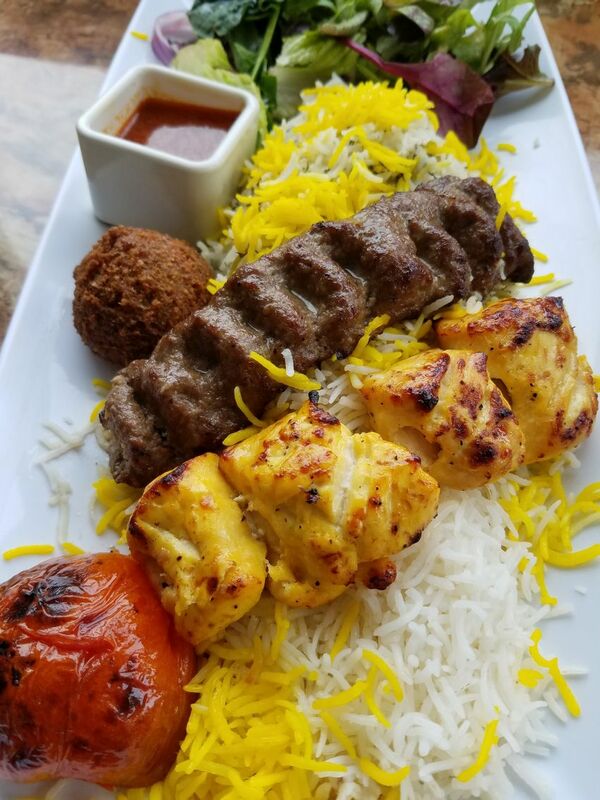 What once began as a dream to introduce authentic, nourishing Persian food to Chicagoland has become a real success story. Started as a small, family-owned, 11 table restaurant in 1997 and have now tripled in size. What hasn't changed through the years, is a philosophy that visitors to Noon O Kabab restaurant are our guests and it is the pride and joy to create an atmosphere where people keep coming back for more. We create authentic Persian food that reflects heritage. The ingredients are always fresh, most spices come from Iran, and the menu is lovingly prepared using treasured family recipes. We are committed to creating healthy and nutritious meals and have partnered with Healthydiningfinder.com as well. What once began as a dream to introduce authentic, nourishing Persian food to Chicagoland has become a real success story. Started as a small, family-owned, 11 table restaurant in 1997 and have now tripled in size. We create authentic Persian food that reflects heritage. The ingredients are always fresh, most spices come from Iran, and the menu is lovingly prepared using treasured family recipes. We are committed to creating healthy and nutritious meals and have partnered with Healthydiningfinder.com as well. The restaurant ambiance is quiet, and softly lit, the walls and alcoves decorated with exquisite Persian tiles depicting Sufi fables and tales. Melodious Persian music accompanies patrons as they enjoy the food and each other's company. The servers are gracious and exude the warmth we feel. In fact, many of our clientele are repeat customers who look forward to coming again and again to Noon O Kabab. Apart from the restaurant, we also have a new Catering kitchen which is 2300 sqft, and we are equipped to cater for 600 to 700 people. With every order we take, we bring the magic of Persia to corporate events, birthdays and even weddings. We customize the joyful experience from menu decisions, tastings to providing servers so that your event is unforgettable and will be a source of beautiful memories for years to come. Join us at Noon O Kabab and experience fabulous food and hospitality. It would be our pleasure to welcome you.